We’ve downed their beers across so many different locations on the Sunshine Coast we’ve actually lost count. We also sat back and watched them with anxious anticipation when they appeared on Shark Tank earlier in the year. They failed to secure a deal, but still managed to snag the mentorship of the sharks, which was arguably of even greater value. Maybe you’ve even visited their very own bar, The Basement, in Nambour before it closed in March? We’re incredibly proud of these two lads, and we know you are too. 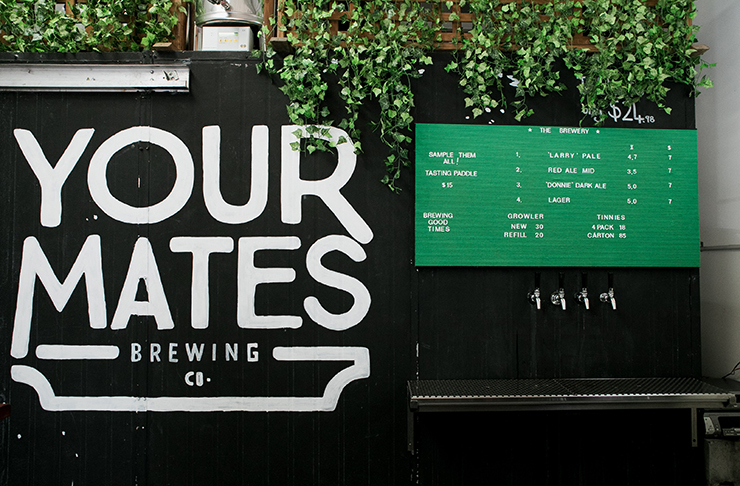 Yes, we’re talking about our mates over at Your Mates, and their Your Mates Taproom. 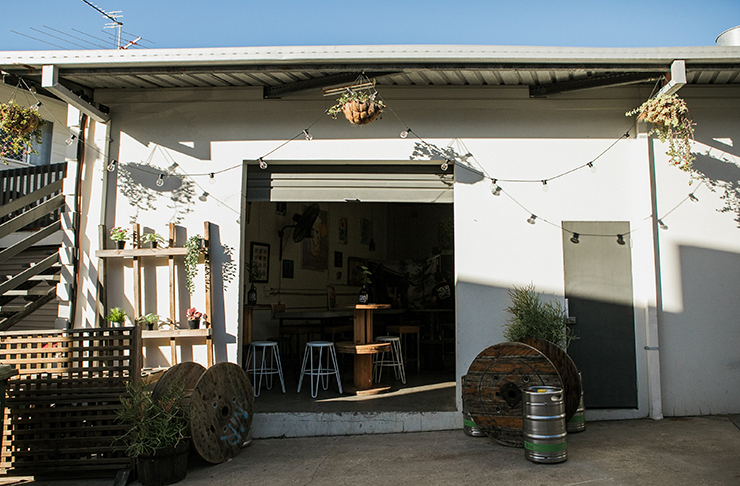 So, when we dropped into their taproom recently to check things out we fell in love with their uber-cool cas vibe and relaxed atmosphere. It also happens to be the absolute perfect place for craft sipping. 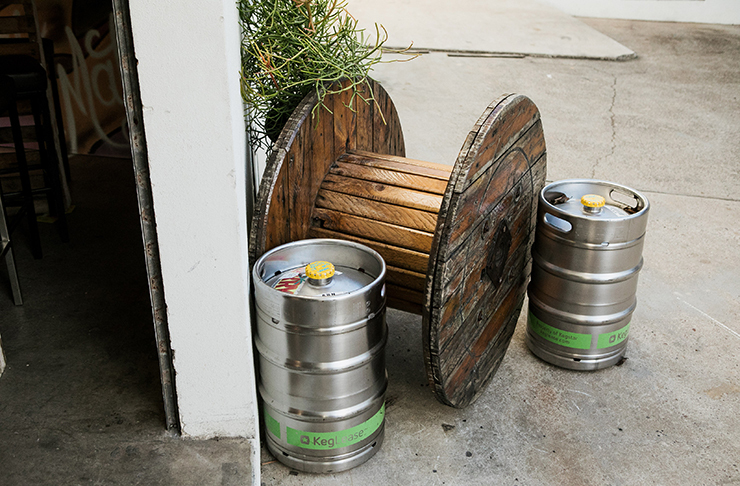 Hidden down an alleyway is where you’ll find this genuine hole-in-the-wall taproom. It’s cosy, warm and inviting. It’s the sort of place you instantly feel at home, where you can pull up a chair and have a few with your chosen ppl. This spot isn’t pretentious and it doesn’t try too hard to impress. There are subtle touches of vibrant greenery and warm timbers to soften the polished concrete floors and bright white walls. Fun artwork litters the walls, making for playful conversation starters. There’s also a giant graffiti Akubra wearing croc who watches over you while you sip away. He's doesn't have an official name, but we're doing to go with Dundee for now. The boys currently have four beers on tap, Larry Pale Ale, Donnie Dark Ale, a mid-strength red ale and a lager. And if you’re feeling slightly peckish they’ve also got a charcuterie meat and cheese board to keep you going. Yum, yum. It’s perfect for sharing with friends, or not. We could easily have a whole one to ourselves, but we’re slightly selfish like that. And for those of us who want a roadie (we, all know those roadie folks) they have four pack and carton takeaways, as well as growlers and refills. Your Mates Taproom is open Thursday, Friday and Saturday from 3pm till late. We also have it on good authority that they boys will soon make way for a new production facility, so stay tuned. When we know, you’ll know. So, clock off from work a little early tomorrow and head straight to Moffat to give your weekend the head start it deserves. We've rounded up the best bars on the Sunshine Coast here for you to visit. 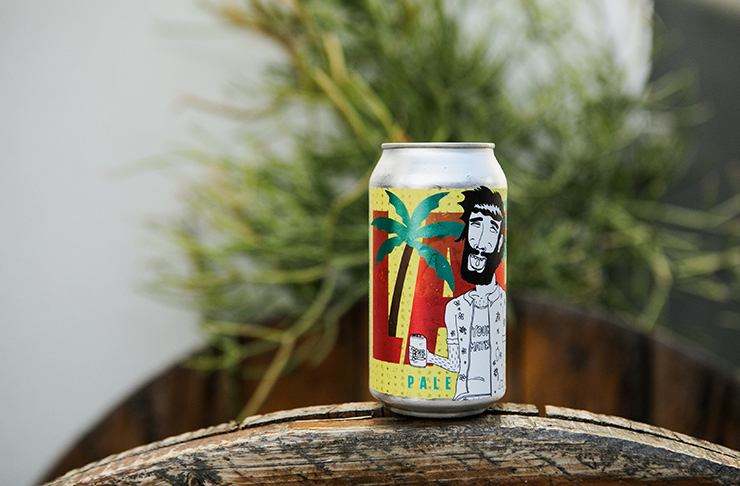 We've also rounded up the best breweries on the Sunshine Coast here.